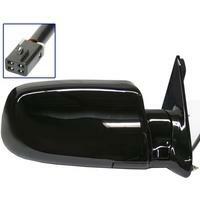 Car Wing Mirror-Door Mirror need replacing? Looking to replace that dingy old Wing Mirror-Door Mirror? It's a wonderful idea and we want to help. Here at AutoVillage.co.uk you can search and find Wing Mirror-Door Mirror for all makes and models, search from thousands of Used and Nearly New Wing Mirror-Door Mirror by selecting either your desired region or manufacturer from the lists below. All Wing Mirror-Door Mirror come direct from UK Car Breakers, Vehicle Dismantlers and Scrap Yards at discounted prices. We specialise on being the No1 online Car Spares Finder and Locator in the UK and are very confident in supplying you with used and refurbished Wing Mirror-Door Mirror Spares at very cheap prices. Looking to find and buy Wing Mirror-Door Mirror Parts, Car Wing Mirror-Door Mirror Spares, Replacement Wing Mirror-Door Mirror Parts? Then maybe, just maybe, AutoVillage can help. Through our network of Car Breakers, Car Dismantlers, otherwise known as Scrap Yards. We can source and supply Discounted Car Wing Mirror-Door Mirror Parts and Wing Mirror-Door Mirror Spares to you, no matter where you live. Our Network will deliver New Wing Mirror-Door Mirror Parts at discounted prices, or even very cheap Used Wing Mirror-Door Mirror Parts direct to your door. Making AutoVillage your Number 1 online car portal for all Automotive Products and Services. So from now on, there is no need for you to go trawling from one car breaker yard to another, no need for you to visit scrapyard after scrap yard, looking for Wing Mirror-Door Mirror Parts, no need to spend hours searching online, trying to find a Used Wing Mirror-Door Mirror Car Part, New Wing Mirror-Door Mirror Car Part or even Replacement Wing Mirror-Door Mirror Spares, anymore. Let AutoVillage do the work for you via our Professional Network of Car Spares and Car Wing Mirror-Door Mirror Part Suppliers, and get the Wing Mirror-Door Mirror Part or Wing Mirror-Door Mirror Spare you're looking delivered direct to you, in no time at all.